Does fire aspect on a sword destroy mob drops? Title about says it all. I've been killing drowned for tridents with a Looting III diamond sword, which has fire aspect I on it. My guess, is that of the trident carrying drowned, I'm killing about 1 in 30 to get a trident. Not the 1/10 I should expect with a Looting III sword based on the wiki article. I've wondered similar things for Wither Skeleton skulls, and other rare mob drops. I am assuming/hoping my flaming sword isn't affecting my odds. No, it doesn't - but the fire damage doesn't apply the Looting effect. If the drowned dies directly from getting slashed by the sword, Looting is applied. If it's set on fire and the fire finishes him off, the chance of dropping the trident is not increased. Moreover, if the death from fire occurs more than 5 seconds after the last hit, the chance to drop the trident drops to zero; the drowned will not drop any XP either - the death will be counted as 'natural causes', not attributed to the player. First row - a diamond Looting III sword, no Fire Aspect, each cow killed with two hits. Second row - a Looting III, Fire aspect II sword - one hit, which the cow survives, then dies from fire. Third row - same Looting III, Fire aspect II sword, but the cow is hit twice before allowed to die from fire. The results are quite clear: the mob killed by fire doesn't drop extra loot. The only way fire aspect affects mob drops is by cooking meat. 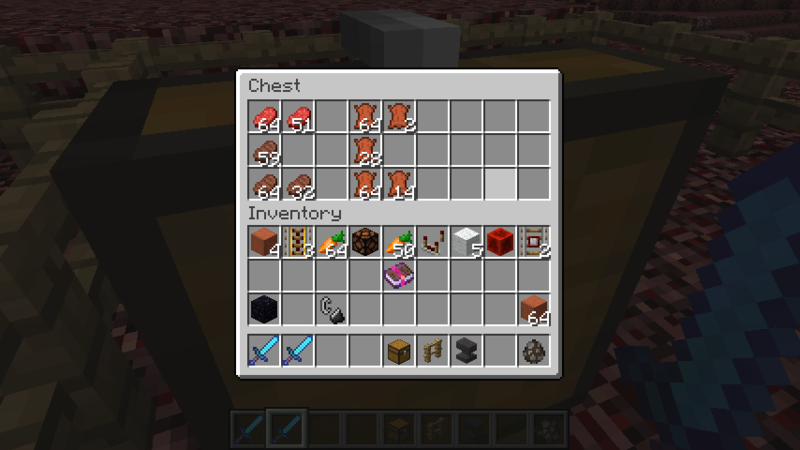 If you get no drops at all, the gamerule doMobLoot might be disabled or there could be a command block killing them. If you just get fewer, it could be a loot table in a datapack decreasing the chance or the drops might be falling in a direction you didn't look. Or you're just unlucky: Even with looting 3 there's a chance of 12.5% of getting only one or no trident with 30 tries. Edit: If the mobs burn to death, looting doesn't apply, see answer by SF..
How should I destroy a Mob Spawner? Is a diamond sword with Unbreaking III, Sharpness IV, Knockback II, and Fire Aspect II possible? Does deflecting a fireball with a looting sword give better drops? How to make a mob spawner that can spawn mobs with custom drops? How do i make all torches have fire aspect? Does the Difficulty affect mob equipment? Does cactus destroy XP orbs? How can I change mob drops based on what the player is wearing?